The advent of forensics (en.wikipedia.org/wiki/Forensic_science), as a bonafide area of scientific study, has led to amazing results. While most are familiar with this discipline through an explosion of television shows, CSI & Forensic Files at the forefront, there is much more to this area of study than most are aware. In fact, knowing a thing or two about forensic accounting (adinakutnicki.com/about/) has led to many interesting developments and associations. Let’s leave it at that. And while anything to do with delving into financial papers is enough to make ones eyes glaze over, the same cannot be said for forensic law enforcement. They utilize scientific tools to place all manner of criminals under the microscope, and hopefully behind bars. Said work is hardly devoid of high drama. In this regard, its “sister” specialty, forensic profiling is less well known, yet more of an enigma. Well, this is because it is the purview of professionals who study the deep recesses of the mind, a cerebral mystery, under the best of circumstances. While the FBI is the largest receptacle of said mental probing, there exists a smattering of private endeavors who bring, otherwise elusive, suspects to heel. One such address is The Forensic Panel (forensicpanel.com), headed by Dr. Michael Welner, featured herein – www.trutv.com/library/crime/criminal_mind/forensics/welner/index.html. In this regard, cogitate over the above, as you read the following, from a most reputable, highly successful criminal profiler. A forensic profiler whose previous cases have included the Natalie Holloway disappearance and the O.J. Simpson double murder says Barack Obama unconsciously made a stunning confession in his effort to blame the sequester idea he suggested on Republicans. “Obama replied to (rare) press challenges about his contribution to the problem, ‘Give me an example of what I might do.’ Then he proceeded to unconsciously answer his own question with further denials, declaring, ‘I am not a dictator. I’m the president,’” Andrew G. Hodges, M.D., told WND in an assessment. “Understand his powerful ‘dictator’ image spontaneously comes from his mind. Immediately following it with ‘president’ he unconsciously confesses, ‘I am the dictator president,’” Hodges said. Hodges, who wrote “The Obama Confession: Secret Fear, Secret Fury,” previously deciphered the JonBenet Ramsey ransom note in the Boulder, Colo., murder case. He uses a unique psycholinguistic technique he calls “ThoughtPrint Decoding” to “read between the lines” of people’s statements – called “the cutting-edge of forensic science” by expert investigators. He’s not new to the field, already having identified killers by studying ransom notes, emails, letters and police interviews to spot secret confessions. He decoded O.J.’s “suicide note” to confirm Simpson had committed a double murder. He deciphered the JonBenet ransom note from Boulder, Colo., to identify the child’s killer. He decrypted letters from BTK to predict that he was about to kill again – the only profiler to do so. He studied statements by Joran van der Sloot and Deepak Kalpoe to tie them to the slaying of Holloway. He showed how Casey Anthony secretly confessed to killing her daughter in 200 letters written to a jail mate. He even decoded Bill Clinton’s comments about Monica Lewinsky. Hodges said that at Obama’s March 1 press conference, the president’s super intelligence quick-reads his deep motives about sequester and then announces those motives to the public. He also addressed Obama’s reference to two sci-fi movies. He suggested Obama has been exaggerating the impact of sequester to “unconsciously paint a true picture of his overall destructive plan,” he said. As WND reported, Hodges previously concluded Obama unconsciously confessed to stealing the 2012 election. Much has been written, mostly by the alternative media, about Obama and his plans for America, as well as for the world. Never mind the ink spilled at these pages, including the time, energy and resources expended. But it was not an exercise in futility (at this blog), nor hyperbole, to essentially posit the question: Who is Obama, and what is he up to? Wish the question didn’t have to be asked. And tied into his non-conventional lifestyle, a lifestyle which most Americans, at best, are uncomfortable with, lurks a man with an abiding hatred for America, and all that it represents – adinakutnicki.com/2012/09/04/who-is-barack-hussein-obama-and-what-is-he-hiding-reggie-love-his-down-low-lifestyle-commentary-by-adina-kutnicki/. Which leads us back to his red/green roots, and his basic “transforming” plans for the nation he is sworn to lead – adinakutnicki.com/2012/09/28/valerie-jarrett-barack-hussein-obamas-communisthidden-hand-familial-ideological-ties-that-bind-addendum-to-valerie-jarretts-communist-leanings-why-she-matters-commentary-by-adina/. His “green” bonafides are duly exhibited within – adinakutnicki.com/2012/10/11/the-islamist-in-chief-his-kenyan-wahhabi-relatives-obamas-inner-roots-addendum-to-the-ties-that-bind-the-islamist-in-chief-to-sunni-islam-commentary-by-adina-kutnicki/. Most significantly, under his purview, the Demsters are fiddling with the Constitution – adinakutnicki.com/2013/01/07/fiddling-with-the-constitution-to-eviscerate-term-limitations-on-the-presidency-why-commentary-by-adina-kutnicki/. To wit, at the helm of the left’s march towards totalitarian, dictatorial rule sits Barack HUSSEIN Obama – adinakutnicki.com/2013/02/08/the-lefts-march-towards-totalitarian-rule-one-party-at-a-time-commentary-by-adina-kutnicki/. NO mystery at this end. Due to the above preponderance of evidence, is it then far fetched to question: A leader of the free world, who views “serving as a bank screen” as a normative value system, really has more things to hide than his preference for “this or that”? Could it be, he came into power with designs so antithetical to American constructs (and against the majority public’s will, even though he managed to get elected) that only an exceptionally skilled forensic profiler can fully interpret the signs and signals? This entry was posted in Uncategorized and tagged Adina Kutnicki: Fiddling With The Constitution, Adina Kutnicki: The Islamist-in-Chief & His Kenyan Wahhabi Relatives/Roots, Adina Kutnicki: The Left's March Towards Totalitarian Rule, Adina Kutnicki: Valerie Jarrett: Obama's Communist Hidden Hand Familial Ideological Ties, Adina Kutnicki: Who Is Obama & What Is He Hiding?, WND: 'I Am Not A Dictator. I'm The President', www.trutv.com: Dr. Michael Welner by Adina Kutnicki. Bookmark the permalink. Hodges writes of Super intelligence? In Obama?? 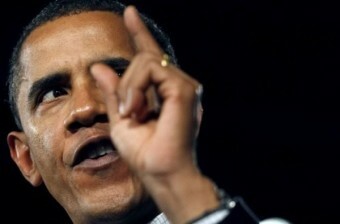 He is the Affirmative Action President and the Teleprompter President. A fortune has been spent on concealing all of his school records, most very probably because he is so mediocre. Yes, he is a blank screen all right 🙂 If it wasn’t for reverse-bigotry, he’d still be back in Chicago doing his community organizing. Hodges reference to “super intelligence” is not in relation to academic prowess, that’s for sure. He could hardly hold his own at Occidental, a school I could sleep walk through, and I am no genius! But Hodges is correct, the POTUS is a brilliant manipulator, a sort of Svengali narcissist and this is nothing to sneeze at! In fact, he is perhaps the world’s master at political manipulation, bar none. Adina, without doubt he is supremely accomplished at manipulation. But I would wonder how much he would have accomplished without the benefit of the politically-correct media being 100% behind him. E,g,, he told his “short bus” joke on Leno or Letterman. If that had been a conservative or a Republican, that would have resulted in a lot of damage. But the media doesn’t dwell on his overt gaffes, so they in effect help to sweep everything under the rug. On a much larger and destructive scale, there is Benghazi. It’s as if Obama is spending millions of dollars per day on tv commercials to enhance his public image; except they don’t cost him anything and we don’t call them ‘commercials’, we instead call them ‘the nightly news’ and ‘the daily paper’. Btw, kudos on being courageous enough to talk about Reggie Love et al. Pingback: Israel's Voice | Clinton Inc. SELLS OUT America To Brotherhood Mafia: “Port Deals” & More.